Daishoji was once a subsidiary domain of the powerful Kaga Domain, and these houseboats are a perfect way to enjoy the urban atmosphere that developed in this prosperous castle town. 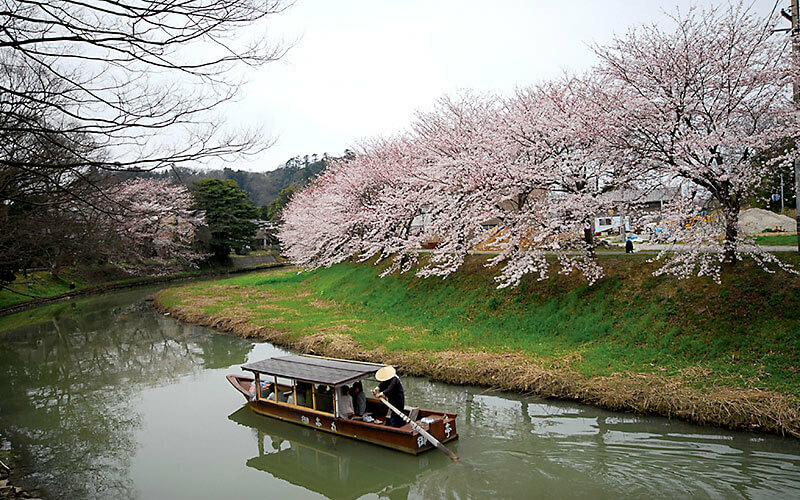 Relax on a boat paddled by hand down the former Daishoji river. Start at Hachiken-michi, then make your way through Tonosama Kodo, Choryutei, and other beautiful areas known for their cherry blossoms — depending on the season, you might also see irises, tulips, hydrangeas, roses, and more. 15 min. walk from JR Daishoji Sta.